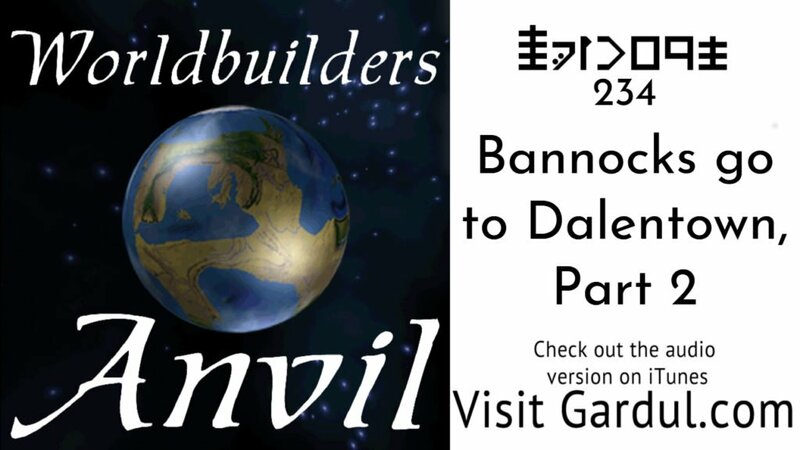 Join Michael and me for part 2 as we interview Matthew Bannock and Tim Bannock about worldbuilding and their new Swords & Wizardry module called. “The Darkness Beneath Dalentown” Go here for part 1 of the interview. Matthew Bannock is a worldbuilder, writer, and award-winning indie game designer, he has created Descriptors which we have enjoyed in the wine steward elements. We co-GMed a GUPRS campaign that lasted for years, and one of the people I go to for brainstorming and fleshing out any creative ideas. Tim Bannock who I only knew as the player has grown into an indie module and the proprietor of the neuronphaser and creator of useful tools for gamemasters. What was your “I can” experience? Tell a STORY about it. Tell a STORY of your biggest achievement to date. When you learned of it. What was its impact on your progress as an author and a worldbuilder? What real-world advice do you wish you had known sooner? If you ended up in the (a) world you created. What would be the first thing you would do?